Speaker Harwell, Lieutenant Governor McNally, Speakers Pro Tem Tracy and Johnson, Members of the 110th General Assembly, Justices, Constitutional Officers, General Slatery, Commissioners, Friends, Guests, fellow Tennesseans, and for the seventh year in a row, the woman voted best first lady in the land, Crissy. My kids even made it this year. I am before you tonight to give my seventh State of the State address. Time really does fly. I'd like to talk with you about the Tennessee we can be, but first, let's start with where we are. Thanks to the hard work of so many Tennesseans, I believe the state of our state has never been better. Our economy is outpacing the national economy. Not only do more Tennesseans have a job today than ever in the history of our state, but Tennessee's median household income has grown at the second fastest rate in the country. Not only are we adding jobs, but we're adding good paying jobs. 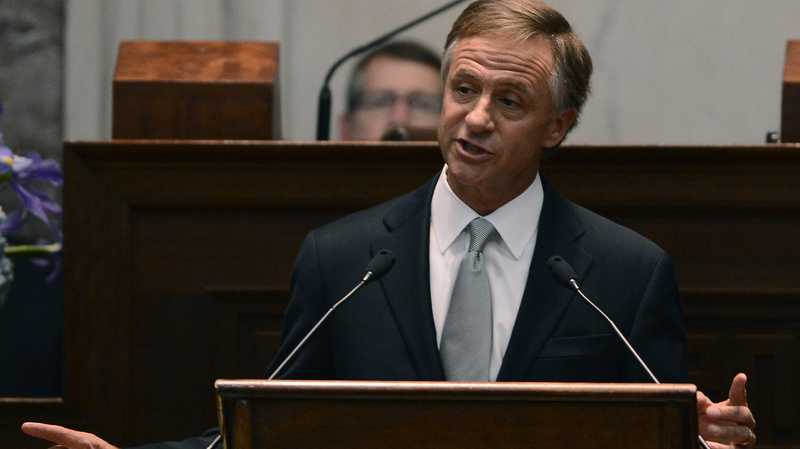 On education, there is no state in the U.S. that is demanding the spotlight like Tennessee. It's worth repeating: with the incredible hard work of our teachers and students, Tennesseans are the fastest improving in the country in math, reading and as of this year, science. This past October we received the science scores from the Nation's Report Card, and beyond being the fastest improving, we narrowed the gaps between African American, Latino and white students. We also completely eliminated the gap between male and female students. Please join me in giving all of the teachers across this great state a hand for making such a difference for Tennessee. In higher education, while the rest of the country struggles with increasing tuition, over the last two years, Tennessee's colleges and universities have seen the lowest growth in tuition and fees since the 1970s. And in just four months we'll see the very first associate's degrees awarded to Tennessee Promise students across the state. For only the second time in our state's history, we have a triple-A credit rating from all three agencies. Even before the tax cuts that I am recommending in this year's budget, Tennesseans pay the lowest amount of tax as a percentage of their income of any of the 50 states. Also, the budget I am recommending to you will take the state's Rainy Day Fund to an all-time high. In addition, we are still the state with the lowest debt per capita in the country. Last year was the first year in Tennessee recorded history that we did not take on any new debt. This budget will recommend that this be the second year in Tennessee's recorded history that we don't take on any new debt. With all of that, we have still managed to create a surplus in Tennessee. I want to be clear – surpluses are a good thing, a combination of conservative estimates, strong growth and having the discipline to not spend to budget. Many of our fellow states who are in deficit positions would love to trade places with us. Twenty-five of the 50 states saw revenue come in below projections last year. Since there's been so much discussion and speculation about the surplus, I'd like to spend a little time tonight talking about that – beginning with: just how much is it? It is important for all of us to draw a clear line of distinction between recurring revenue and non-recurring revenue. For those watching at home, recurring revenue would be items like your weekly or monthly paycheck – revenue that you can typically count on coming in from year to year. Non-recurring revenue would be things like the money Aunt Edna left you in her will, or the insurance settlement you got for your car, or the money that you saved out of last year's budget. These are items that you cannot typically count on from a year-to-year basis. For recurring revenue, in most years we have new growth of about $400 million to $500 million that we can spend on new programs or increased costs. This year the amount of new recurring revenue is $957 million, double the amount that we normally receive. However, it's important for all of us to remember that this is not $957 million without any claims to it. The tax cuts in the budget we are proposing will take over $200 million of that. Funding the BEP formula – something we are all committed to, and raises for teachers – will take another $180 million. Non-discretionary increases to TennCare, caused by rising health care costs in general and pharmacy costs in particular, will take $130 million of that $957 million. Raises and increased health insurance costs for state employees are another $107 million. In addition, obligations to our retirees for our pension plan and health care costs will eat up $125 million dollars. Funding the Complete College formula and higher education will require $80 million dollars. I'm also recommending that the maintenance of our buildings be funded on a recurring basis going forward, which I believe is a more conservative and responsible approach than only putting maintenance dollars in the budget when we happen to have some funds available. As you can see, many of the items that I listed are non-discretionary. As you can also see, there are some discretionary funds in that list. We don't have to give raises to our teachers or to our employees. We don't have to cut taxes, and we don't have to fund the maintenance of our buildings on a recurring basis. However, I am convinced that all of these things are strategic investments in the future of our state. Just those seven items make up $900 million of the recommended spending for the $957 million in the new recurring revenue that we have for this year. In addition, we are recommending several other places that we believe merit investment in the budget. We are recommending increasing the daily reimbursement rate that we give to counties for housing state prisoners in county jails. We're adding funding for public defenders and investigators, more state troopers and more district attorneys. It is also both smart and just to increase the amount of reimbursement we pay to some of the providers that take care of our most vulnerable citizens through the Department of Children's Services. We're opening up more places in the CHOICES program for those we serve in the intellectual and developmental disability communities. And as drug use and opioid addiction plague our state, we're expanding substance abuse and crisis intervention treatment services and supports. With the non-recurring money, or one-time money, we're focusing on items that can save state dollars down the road, including the improvement and maintenance of our buildings, both general government and higher education, and putting $110 million toward paying down a $1.2 billion liability for retirees' health care. I am also proposing to add $132 million to our Rainy Day Fund to bring it to an all-time record high of $800 million, well on our way to the statutory guideline of $1 billion. Since we have been talking about the surplus, we should go ahead and talk about our transportation needs since it's hard to talk about one without the other. At its core, transportation and infrastructure are some of the most basic needs provided by state government, and a safe and reliable network is vital to the Tennessee we can be. While there are some functions that people can perform for themselves without the government, no one can build a network of roads and bridges on their own. In Tennessee we last addressed how to fund our roads back in the late 80s. Since that time, when the rate was raised to 21-cents per gallon of gasoline, the value of that 21 cents has fallen to 11 cents. If you're wondering how that can happen, the answers are fairly easy. The gas tax is the one form of revenue that doesn't have inflation built into it. Because it's charged on a cents per gallon rate instead of a percentage of the sales rate, inflation doesn't change the number. Secondly, improved fuel mileage for vehicles has been great for the economy, great for the environment and great for consumers' pocket books. However, it has also meant that everyone drives on our roads for a lot less of the cost than they did back in 1989. With the IMPROVE Act we're proposing to increase the gas tax 7 cents and the diesel tax 12 cents per gallon, and all new revenue goes only to address our transportation needs. The legislation will mean 962 projects in all 95 counties, both urban and rural. It will also mean 78 million dollars annually in increased revenue for counties and 39 million dollars annually in increased revenue for our cities. Scores of mayors across Tennessee – cities and counties, rural and urban – have told me that, if we don't do something to address the fuel tax, they will have no alternative but to raise the property tax in their municipalities. I know some of you think we should transfer surplus money to the Highway Fund for transportation. We are – to the tune of $277 million in last year's and this year's budget combined. There are four real reasons why that's not a long-term solution. First, while we do have a surplus, we do not have a pile of money without a claim to it – as I mentioned earlier. Second, I have never thought that it was a good plan to pay for a long-term need like $10.5 billion in approved and needed road projects with a short-term surplus. Third, and the most fundamental, in my proposal an estimated half or more of the increased revenue would come from non-Tennesseans and trucking companies. I don't know why we would take General Fund dollars, which are mostly collected from Tennesseans for Tennesseans, and use that to subsidize our roads, which are paid for by a broad mix of in-state and out-of-state users. Finally, paying money out of our surplus would continue to leave our cities and counties with an inadequate source of revenue for taking care of our neighborhood and local roads. I know that some of you have said that you're never going to hit the green button for any kind of tax increase. I understand. I would rather not address this either. I would rather be known as the governor who worked with the General Assembly to cut $500 million in taxes, brought our debt to record low levels and introduced the Tennessee Promise. But imagine what kind of Tennessee we would be if two different governors and two different General Assemblies did not have the foresight to address our infrastructure needs back in the 80s. Without them, many of the roads we now take for granted and hundreds of thousands of jobs wouldn't be here. Earlier I mentioned that Tennessee has the lowest taxes in the nation as a percentage of personal income. If the IMPROVE Act goes into law, we would still have the lowest taxes in the nation. Today, we benefit from the decisions made and hard votes taken by those who came before us, and I am hoping we can make the same commitment to our children and grandchildren to deliver the infrastructure they need to pursue economic opportunity and high quality lives. I have also heard many of you say that any movement in the gas tax would have to be accompanied by relative revenue neutrality. If you believe that, I would argue that there will rarely be as good a chance for us to do that as we have before us right now. The IMPROVE Act includes tax cuts targeted toward the franchise and excise taxes of our manufacturers. While we take great pride in paying the lowest amount of tax as a percentage of income in the country as individuals, unfortunately that's not true for our business taxes. We are the third highest in the country in business taxes as a percentage of income and as a percentage of our budget. This tax cut of $113 million annually makes Tennessee more competitive as we're out recruiting jobs to locate or expand here in state. Why are we targeting manufacturers with this tax cut? Because they are the firms that in addition to their own jobs, bring a long trail of supplier jobs with them. The average manufacturing job creates an additional three jobs out of their supplier ranks. Just this morning I had a conversation with a major manufacturer who was looking to locate in one of our rural areas in Tennessee. The good news is we're one of two finalists for the location. 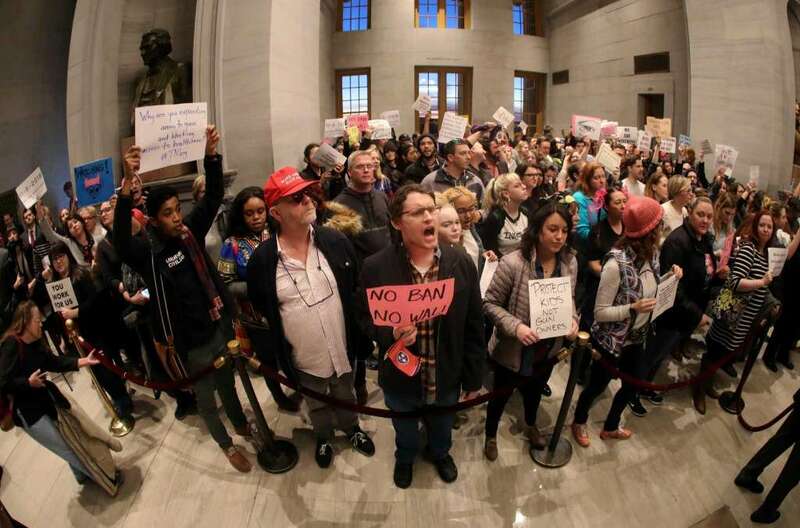 The challenging news is they think they will pay more if they locate in Tennessee, and they're weighing their decision. I wish I could say that's the only conversation like that I've had, but that is at least the fifth time that has come up in a recruitment conversation in the last four months. I am confident this tax cut will mean more jobs for Tennesseans in the future. I am also proposing we cut the tax on groceries from 5 percent to 4.5 percent, which in addition to the half percent we cut several years ago, would mean a full percentage cut in the grocery tax since 2012. This new cut would save Tennesseans $55 million annually on their grocery bills, for a total of more than $100 million since we came into office. Finally, I am proposing funding the cuts in the Hall income tax. As you all know, the Hall is statutorily required to be eliminated by 2022, but it is one thing to eliminate a tax in a bill. It is entirely different thing to actually take that revenue out of the budget. The IMPROVE Act accelerates that while we have the funds in the budget to address this. Those cuts will mean an additional $102 million in tax cuts during this General Assembly. In total, if this is approved, the General Assembly and this governor will have cut $540 million in annual taxes out of the budget since 2011. Let me repeat that: we will have cut $540 million in annual taxes since 2011. For the sake of reference, this is nine times more than the highest amount ever cut by a General Assembly and a governor in the history of the state. And with the approval of the base reductions in this budget, we will have cut $550 million in on-going expenses from the state budget over the last seven years. We've reduced the cost of government, and we're returning those dollars in tax cuts. Insuring the future health of our state is not just about roads and bridges. More than half of our counties have an economic status of either at-risk or distressed, but our rural areas have assets that we can capitalize on. We are already making progress in this effort. Last year, 40 percent of the new job commitments from our Department of Economic and Community Development occurred in rural areas. In this budget we are proposing including $21 million in recommendations from our Rural Task Force. 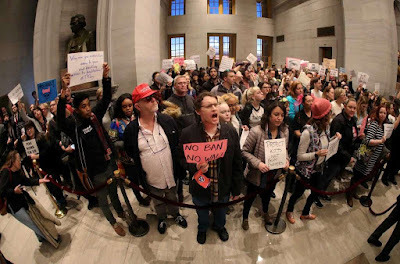 As Tennessee moves ahead, we want to make certain that every part of our state is included. But one of the best things I think we can do for those areas is increase their access to broadband internet. Last week I introduced the second piece of our NextTennessee legislative agenda, the Tennessee Broadband Accessibility Act. We've talked about infrastructure with regards to transportation, but having the right infrastructure to handle Tennessee's potential growth also means talking about access to broadband. More than 800,000 Tennesseans don't have that access, and one in three businesses identified it as essential to selecting their location. Allowing Tennessee's private, non-profit electric co-ops to provide retail broadband service and investing $15 million in grants and tax credits annually will help spur deployment in rural unserved areas – opening them up to economic investment and job growth. Of course, accessibility without adoption doesn't accomplish very much, so we're also focusing on digital literacy so interested Tennesseans can maximize the benefits of broadband. We live in a world where if you have a strong internet connection you can just about work from anywhere. If we're serious about putting our rural counties on a level playing field, then opening up broadband access is one of the largest steps forward we can take. As in prior budgets, you will notice this one makes another strong commitment to education. Last year we had the largest funding increase for public education without a tax increase in the history of the state. This year we're proposing one of the largest funding increases in Tennessee history while at the same time cutting $270 million in taxes. We're fully funding the Basic Education Program including $22 million in additional dollars to help schools serve high need students and $15 million for career and technical education equipment. One hundred million dollars ($100 million) is included for teacher salaries, bringing the three year total since FY 16 to more than $300 million in new dollars for teacher salaries and more than $430 million in new dollars for salaries since 2011. 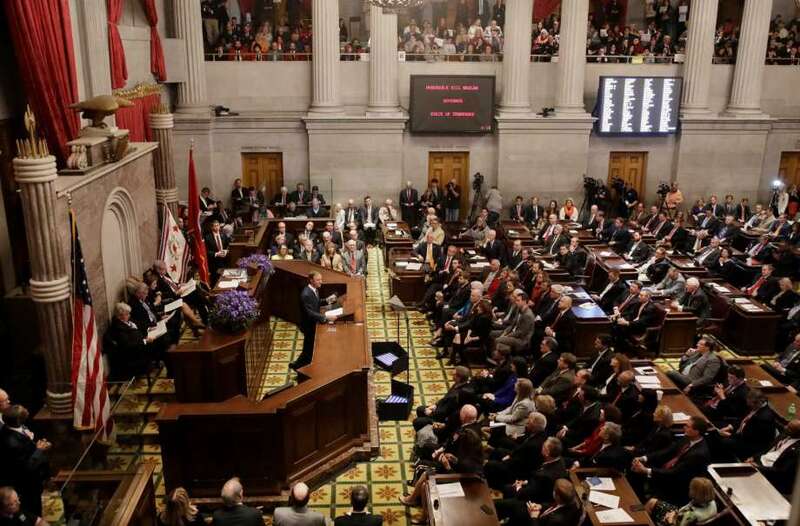 Tennessee has shown it will not balance the budget on the backs of teachers and students. In fact, under the legislature and this administration, Tennessee has increased total K-12 spending by more than $1.3 billion. We're also making unprecedented investments to open up access to higher education. In addition to the Tennessee Promise and keeping tuition low, since fiscal year 2012, Tennessee has taken funding for its need-based financial aid from $56 million to $98 million. Our focus on education has been about creating true generational change regardless of your income level or your zip code. At the end of the day, there is no higher potential for providing more opportunity for our citizens than increasing access to high quality education. And the whole point is: we're doing it by maintaining discipline and responsibility to the tax payer – keeping taxes and debt low and saving for when the economy ultimately slows. With that in mind we introduced the Tennessee Promise three years ago in this speech. The Promise was a significant initiative within our Drive to 55. Every day we are seeing that this is not an abstract goal. It is a goal that is connecting and resonating with Tennesseans. Back in 2014 when we were discussing the Tennessee Promise legislation, there were two questions that always came up. First, can these students, many of whom are first generation college students, succeed? And second, what about the adult Tennesseans who graduate high school and either never went or never finished college? While it's still early in the Tennessee Promise story, the results so far are incredibly encouraging. Since the program started, more than 33,000 students have enrolled in college as a result of Tennessee Promise, and of the students who began in fall 2015, 63 percent are still enrolled. But for me, Tennessee Promise will always be one freshman who, on his first day of class at Nashville State, grabbed me and told me, "I've always known what I wanted to do with my life, and I've always known that to do that I have to get a degree. But before Tennessee Promise, I had no idea how I would pay for it." Last year, we led the nation in FAFSA applications by our high school seniors, and this year's numbers are already ahead of last year's, meaning we will once again be No. 1 in the nation. Just as encouraging is the volunteer spirit that truly makes this program unique. Nine thousand Tennessee adults are volunteer mentors to high school students, and those high school students have provided over a million hours of community service. And critically, at a time when the rest of the nation is wondering what to do about student loans, Tennessee has seen a 17 percent decrease in the number of students taking out loans. Even with all of the progress and unprecedented opportunity, we know that we have to do more. Tennessee needs 871,000 degrees to reach the goal of 55 percent, but mathematically there's no way to reach our goal just by serving our high school students. As many of you have specifically discussed in the last three years, we have to do more for adult students in Tennessee. We need to reach the working mother that went to college but didn't complete, or the son with sons of his own who like his dad never went to college but knows that he needs to upgrade his skills. Adults currently can attend a TCAT tuition free, and we were the first state in the nation to offer a program like the Tennessee Promise. Tonight, I'm introducing the next step in making certain that everyone in Tennessee has the opportunity to earn their degree. I am proposing that Tennessee become the first state in the nation to offer all adults access to community college free of tuition and fees. Just like the Tennessee Promise, Tennessee Reconnect will provide last-dollar scholarships for adult learners to attend one of our community colleges for free – and at no cost to the state's General Fund. With the Reconnect Act, Tennessee would be the first in the nation to offer all citizens – both high school students and adults – access to a degree or certificate free of tuition and fees. No caps. No first come, first served. All. Just as we did with Tennessee Promise we're making a clear statement to families with Reconnect: wherever you might fall on life's path, education beyond high school is critical to the Tennessee we can be. We don't want cost to be an obstacle anyone has to overcome as they pursue their own generational change for themselves and their families. And one more thing: I've had the chance to personally witness Tennessee's National Guard in action whether it's in Afghanistan or Gatlinburg or McMinn County helping those communities recover from devastating tragedy. Tonight, we're announcing the Tennessee STRONG Act to provide tuition free attendance for these men and women at our public universities and colleges. If we can help our soldiers and airmen who protect us at home and abroad, I know you agree we should do it. education, in particular. I know firsthand what a college degree can mean to someone, specifically someone who is the first in their family to go to college. My dad was the first in his family to attend college and get his degree, and the trajectory of his life – and mine – was changed forever. And I'm betting that I'm not alone in that many of you in this room were the first person in your family to attend college or your parents were the first. The Tennessee we can be provides not only access to opportunity but the tools to be successful. Good roads that take you to good jobs. Broadband access to conduct and grow your business anywhere in Tennessee at the speed of the 21st century. A high quality education system that educates all. We can do that in Tennessee. Because of the fiscal responsibility we have shown, the Tennessee we can be is a state with a safe and reliable transportation network that supports long-term growth, one of the best K-12 systems in the country and free access to a degree for all Tennesseans, so the opportunity and potential career earnings offered by higher education aren't derailed by student debt. And we can still be the state with the lowest taxes and the lowest debt. Two months ago, I was with Senators Alexander and Corker and Speaker Harwell when we met Gerry Stoker in Polk County after tornadoes had ripped through Southeastern Tennessee. Life had already thrown some challenges her way, and the storm had delivered her another: her daughter and son-in-law who lived next door had just been killed in the storm. After chatting for a while, and not at all intimidated by having a governor, two senators and a speaker on her front porch, she turned to us and said, "Ok, you folks go back to Washington and Nashville and do what you're called to do. I'll take care of things here." 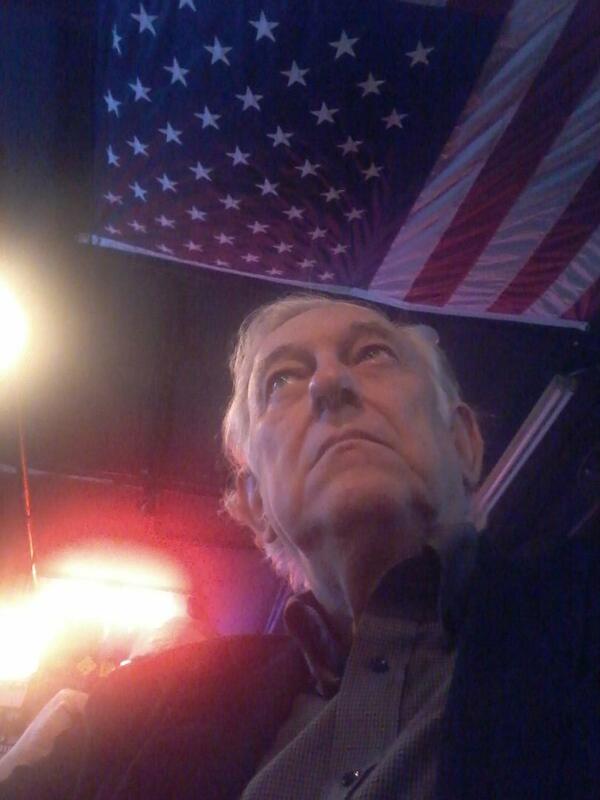 That is a true picture of a Tennessean and how we address the challenges only we can solve. That was the end of one of the tougher weeks in the history of our state. We had suffered a tragic school bus crash in Chattanooga, fatal tornadoes sweeping across our state, and the horrific fire in Gatlinburg that will go down as the worst fire in the history of our state. In the midst of all that, I have never been more proud to be a Tennessean. We truly still are the Volunteer State, and I could spend hours recounting to you stories of courage and sacrifice – thousands of state employees and caring citizens who only had one question, "how can I help?" That is who we are – that is the Tennessee we can be. May God bless you, and God bless the greatest state in the country. Several hundred TURD victims showed up to protest something.